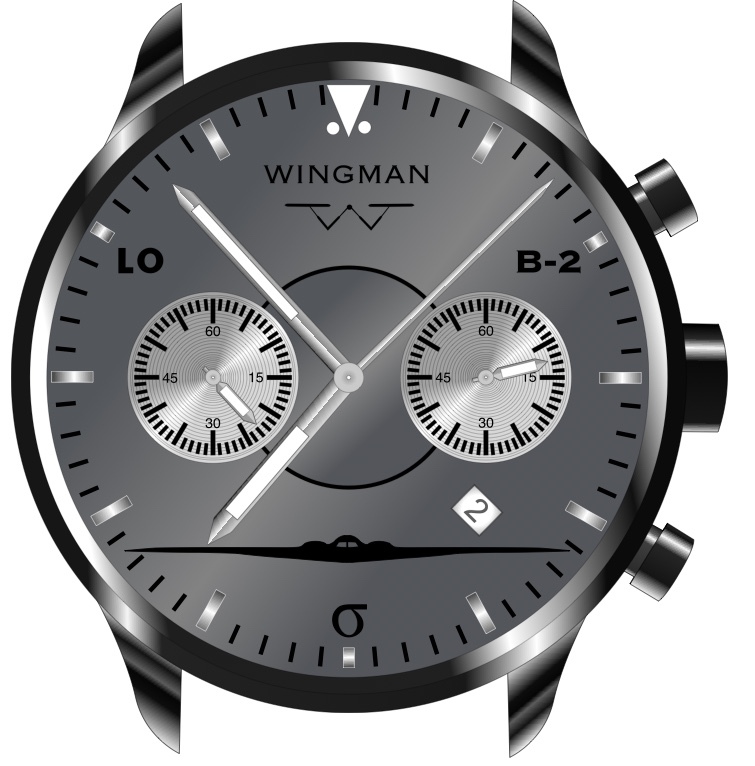 This is a pre-order for the B-2 watch. 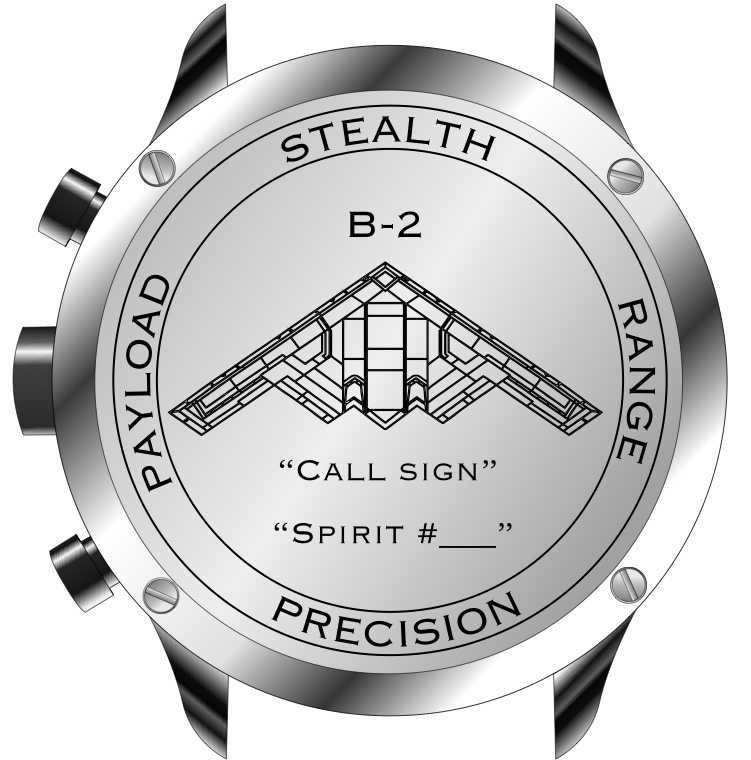 Help bring this custom B-2 watch to life! 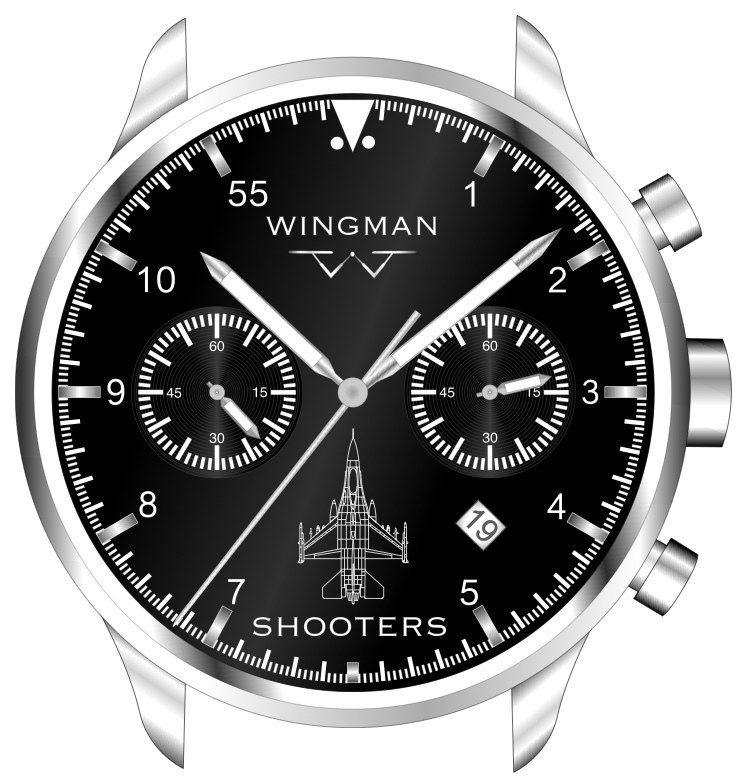 We will need at least 30 pre-orders to build this watch at the $469 price ($80 off retail). 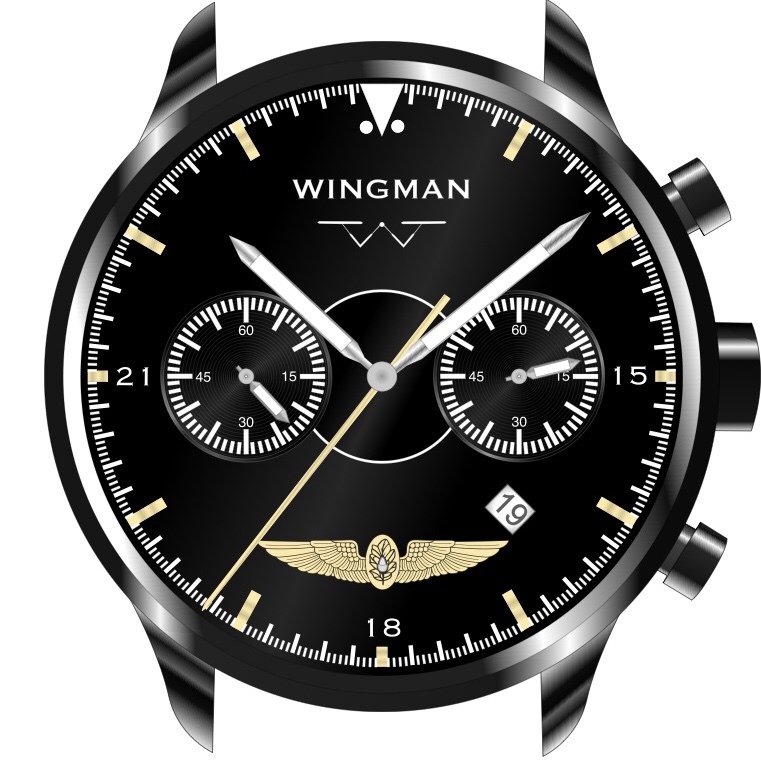 If there is enough interest in this watch at this level, your credit card will be charged at the end of the funding period. 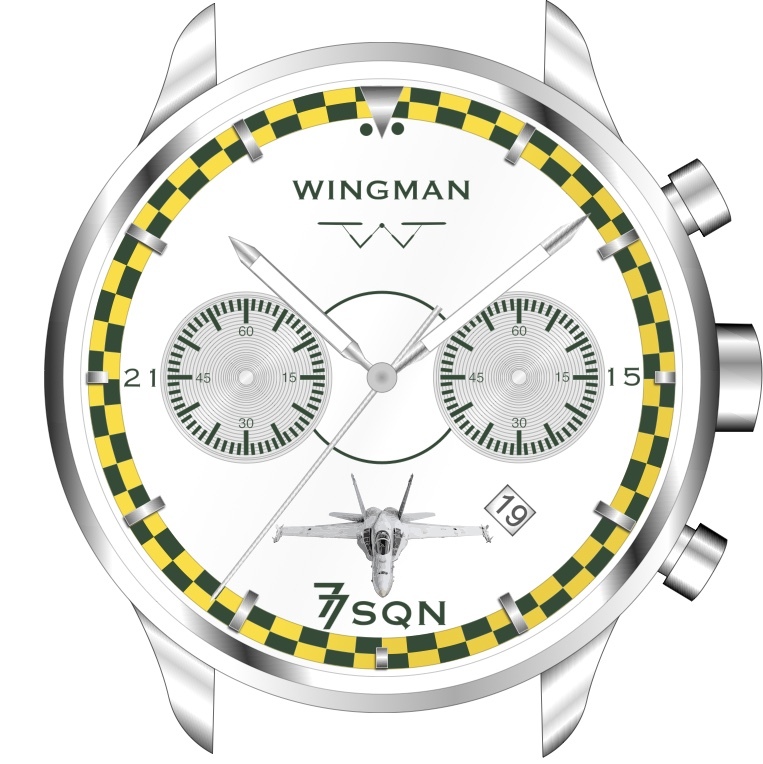 Once we place the final order for this watch, it watch will take 4-5 months to build. After the campaign has ended we will keep you updated when we place the final order and as milestones are met throughout the building process. Dial Color: For presentation purposes, we lightened this dial a little so that you can see the details that will be on it. 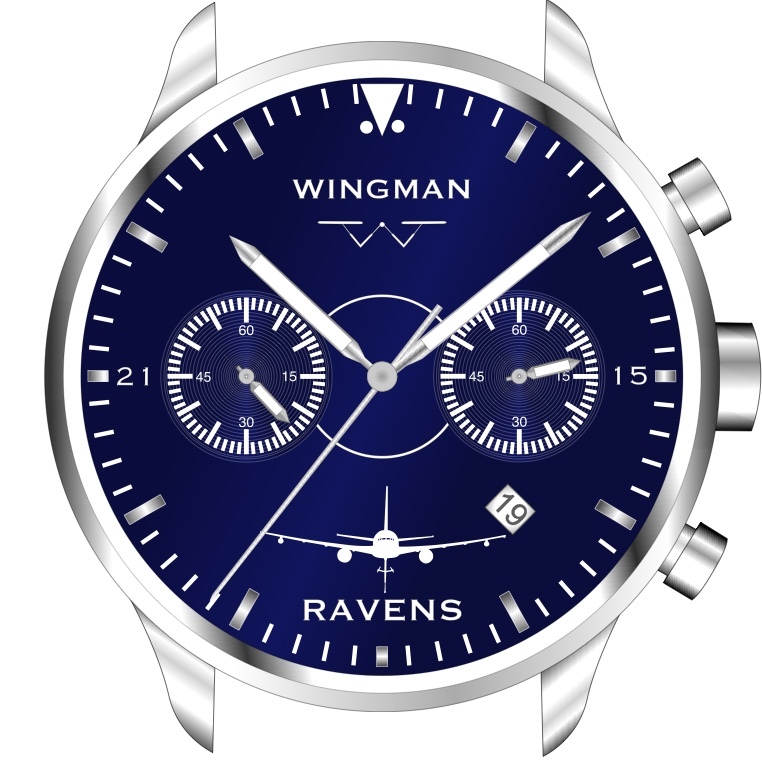 The final dial color is going to be a darker gray to give the aircraft and black markers a stealthier look. Sub-dial color is Silver. Case-Back Engraving: We have presented two options for engraving. One with Call Sign or Name and Spirit #, and another for any of the 21 Spirit Names and Numbers. You can also request a different engraving. When checking out, include in the “Order Notes” section what engraving you would like on the back for the two lines of custom engraving. If you are unsure of what engraving you want now, you can let us know later. Band Options: This watch will be paired with our Black Stitched Leather band. If you would like the Black Tactical Rubber band or the Black Nylon NATO strap instead, please let us know in the “Order Notes” field. If you are unsure of what band you want at this time, you can let us know later. Spread the word and help bring this custom B-2 watch to life! CAMPAIGN UPDATE: Nicely Done B-2 pledgers! The minimum goal has been reached and we have already started the building process of this watch with our manufacturer. As we were nearing the campaign end-date, we discovered that there was more interest from groups who were just becoming aware of this watch. So we are extending the end-date to MARCH 8 to give those who have not yet pledged a little more time to get in on this initial build. So spread the word to your fellow B-2 enthusiasts while there is still time! Strap: Genuine oil tanned leather, Nylon NATO, or tactical rubber. Lower quality watches use a plastic router that breaks easily.